Is it a bird? Is it a plane? No, it’s Kids Club karate! 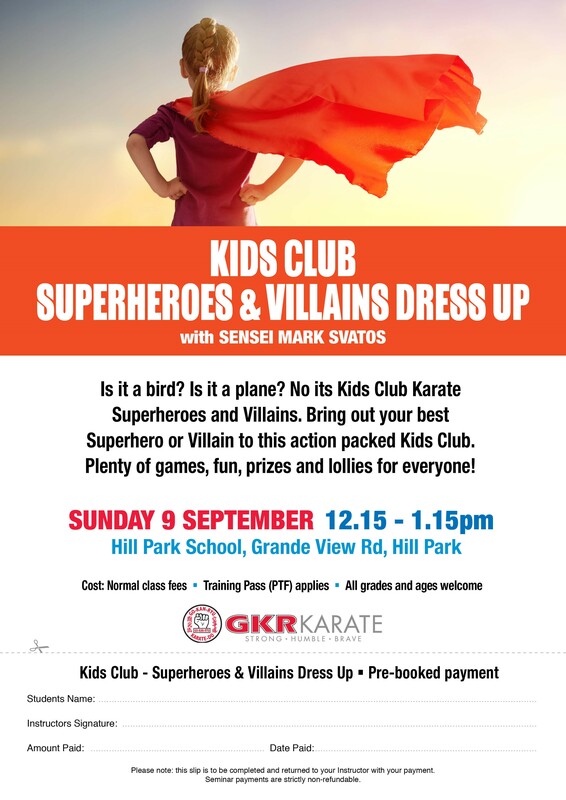 Bring out your best Superhero or Villain to this action packed Kids Club. Plenty of games, fun, prizes and lollies for everyone!